A controversial state accused of supporting terrorism is again in the news for the wrong reasons, throwing the spotlight once more on a contentious but much-heralded link up with Cardiff Airport, The Eye can reveal. We showed how the airport – Wales’ busiest – already faces severe challenges over passenger numbers, with fierce rival Bristol Airport pumping millions of pounds into expanding facilities, taking capacity to 12 million travellers, and improving transport routes. Now a high-profile court case is underway involving the headline-grabbing state, Qatar, which the airport connected to. The former Chief Executive of Barclays, John Varley, and Tom Kalaris, head of wealth management, are charged along with others of fraud, over capital-raisings in 2008 in the middle-eastern Emirate, when Barclays sought private investors to shore up its balance sheet so that it could avoid a UK Government bailout. The men deny the charges. The judge in the case at Southwark Crown Court has intervened to stress that side deals struck with the Prime Minister and sovereign-wealth fund of Qatar at the same time as two emergency capital calls in 2008 may have been shams, if the prosecution case is correct. The court also heard that ‘fees’ were paid to Qatari parties for ploughing money into the bank and keeping the arrangement hidden from other investors. Was the deal with Qatar ‘dodgy’? 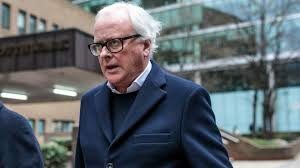 The court was told that a scheme whereby the Prime Minister was to receive some of those ‘fees’ from Barclays and would provide services was, the accused agreed in a conversation, “dodgy”. The Qataris are not accused of any wrongdoing in a case which continues and is expected to last up to six months. Should Cardiff Airport have linked up with Qatar? But this court case has followed other disturbing news about Qatar. 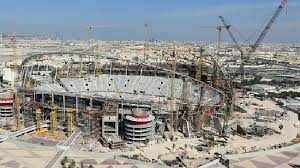 In June it was reported in The Sunday Times that Qatar’s Emir, Sheikh Hamad bin Khalifa Al Thani, was so desperate to make his tiny country an international player on the world stage that, as a keen football fan, he planned to bring the World Cup, to the desert. A New York Public Relations company snapped up the World Cup work and signed an $80,000-a-month contract with the Qatar 2022 bid team. Former CIA agents are also said to have been hired to carry out a range of due diligence work. The country is contentious for other reasons too, with eight sovereign nations around the world cutting diplomatic ties. In July 2017 it was reported that Qatar had been cut off by some of its powerful Arab neighbours over its alleged terrorist support. The state refused to comply with an initial list of 13 demands, saying it would not agree to any measures that threatened its sovereignty or violated international law. The Emirate was told by its neighbours that they wanted it to accept six broad principles on combating extremism and terrorism. Saudi Arabia, the United Arab Emirates (UAE) and Bahrain, severed relations with Qatar on June 5 2017 amid the allegations. Qatar denies them, yet it does acknowledge that it has provided assistance to some extremist groups, such as the Muslim Brotherhood, but says it does not aid militant groups linked to al-Qaeda or so-called Islamic State (IS). 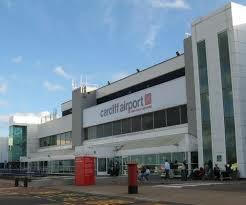 Even so the politicians and other journalists have lauded the recent link up by Cardiff Airport with Qatar. 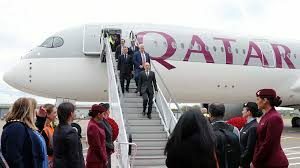 As The Eye have reported, the Welsh First Minister at the time, Carwyn Jones, tweeted that he ‘welcomed’ the first Qatar Airways flight into Cardiff Airport saying it represented a “huge boost” for Wales. The Welsh Secretary Alun Cairns said: “The new flight from Cardiff to Doha (Qatar’s capital) plugs our entrepreneurs straight into one of the most dynamic economies in the Middle East, and an airport which offers a further 150 global destinations”. The mainstream media in Wales and senior management at Cardiff Airport were not far behind in their praise. The flight to Qatar’s Hamed International Airport was described in the South Wales Echo as providing “capacity for 150,000 passengers a year, as well as significant freight capacity for Welsh exporters at around 10 tonnes a flight”. In April 2017 BBC Wales’s Economics Correspondent Sarah Dickins said approvingly: “The new direct route from Cardiff to Doha is a reminder not just that the economy of Qatar is growing significantly but also that trade between Wales, the Arab world and beyond is increasing”. 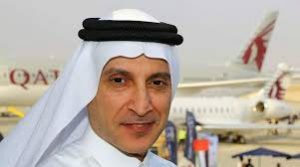 When the first flight from Doha was due, WalesOnline, whose Editor Paul Rowland threatened to sue our own Editor Phil Parry, reported the gushing words of the Chairman of Cardiff Airport, Roger Lewis: “This is a pivotal moment for Cardiff Airport, for Wales and the South West of England. But the UK Government takes a rather different view, and has warned potential travellers to Qatar that there are major risks. It stated on its advice website: “Terrorists are likely to try to carry out attacks in Qatar“. Meanwhile the flights at Cardiff Airport have proved problematic, set against Bristol Airport’s plans for thousands of extra car parking spaces, a transport interchange and another pedestrian walkway to the terminal. The flights to Doha from Cardiff, are only on course to give prospective passenger numbers of 80,000 to 90,000 for its first year of operation, and that includes the traditionally busiest month of August. Just 5,817 travellers used the flight in October. There has already been concern among senior figures. In September we reported how Akbar Al Baker, the Chief Executive of Qatar Airways had told The Independent newspaper the performance had been a disappointment. Will Cardiff airport come around? “We are giving it time”, he told the paper. Coming around could be difficult for Cardiff Airport if there are any more alarming headlines about Qatar.